Introduction: These days it’s not as uncommon as it used to be to see young Portuguese talents plying their trade in Italy. Perhaps in an attempt to renovate and reinvent the Calcio, Bruno Fernandes, Zé Turbo, Pedro Delgado and now Pedro Pereira are starting to thrive in Lo Stivale. 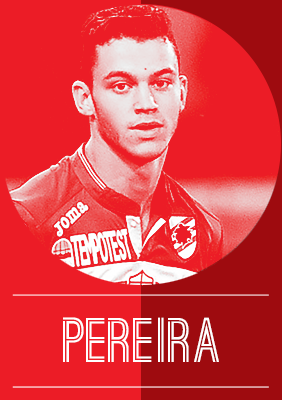 Having arrived this past summer from Benfica’s youth set up, Pereira impressed during pre-season and got himself a spot in the main Sampdoria squad. Analysis: The Portuguese right-back made his debut in a match vs Bologna, coming in for Cassani during the first half of the match. He impressed and has played regularly for the first team, despite not having an unquestionable spot in the starting eleven. As a right-back, he has the usual modern wing-back characteristics that include a tendency to be offensive and support his winger. What makes him a bit different is that he doesn’t commit offensively to a point of putting himself at a defensive disadvantage, like many other teenage right-backs do. Pedro’s the type of player who won’t get as many highlights as other wingbacks – something proved by his lack of reputation within Portugal – but who will, on the other hand, prioritize defensive duties. Reliable and agile, the youngster has a lot to work on but the fact that he’s experiencing Italian football in a mid-table team will be incredibly positive. The outcome will definitely be a right-back that’s extremely different to any other in Portuguese football, which will hopefully lead to a positive fight with talents such as Riquicho or even Cancelo for a spot in the national teams. Looking ahead: With all of that said, and despite being a reliable option for Montella, Pedro is still not a regular starter. Don’t get me wrong, it definitely isn’t that negative of a situation, he’s only 17, but that’s what he should aim at for the future from a short to midterm perspective. National team wise, despite having played only for the U18s so far, I believe that the youngster will have a real shot at making the U20 team that will play in the Rio Olympics. 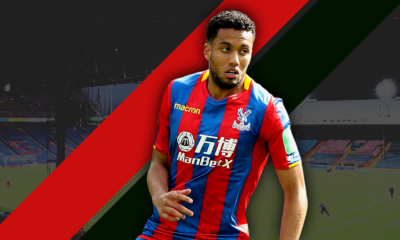 Introduction: When you’re the youngest scoring debutant in the club’s history, there will always be heavy expectations thrown on to your shoulders, but Dutch youngster Jairo Riedewald has progressed beyond expectations at a club who’es very existence revolves around their historic youth pipeline. Still just 19-years old, the native of Haarlem has entrenched himself in a back four bristling with young players. Alongside fellow Dutch internationals Joel Veltman, Kenny Tete and Mitchell Dijks (Veltman is the only one above the age of 22, he’s 23), Ajax has established a defensive line that is dominating the domestic front and Riedewald is a massive part of it. Deployed in the traditional Dutch 4-3-3, Ajax still live and breathe total football. Riedewald, a center-back by trade by also capable of playing out on the left, isn’t just tasked with breaking up the opposition attack and passing to a more creative force. 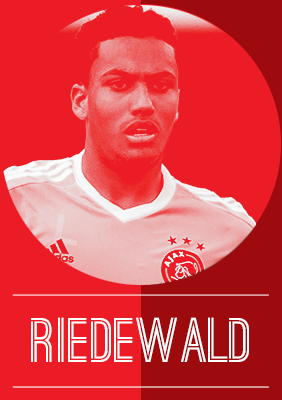 Dutch players are taught to be able to fit into a certain role in defense and in the attack, and once the transition has begun, everyone is expected to be able to contribute going forward, something Riedewald is certainly capable of. It will come as no surprise to anyone that he is more than comfortable on the ball despite being a center-back – very capable at dribbling his way out of trouble and forward from the back and an excellent passer. Riedewald is also very intelligent, with an interception rate that pays homage to his knack for reading the play in front of him. And like all true Dutchman, the youngster likes to possess the ball regardless of his position on the pitch. His one downfall however, is his struggles in the air. Standing a shade under 5’10”, his only clear-cut weakness is an inconsistent nature dealing with aerial threats (reflected in the table above), and while he is most likely done growing, his lack of height can only be seen as a stumbling block to be overcome. Being the smart player that he is, over time his intelligence should come to the fore and help rid himself of his tactical Achilles heel. Looking ahead: Now a full Dutch international after featuring for the Oranje in the tail end of their failed Euro 2016 qualifying campaign, Riedewald has clearly put himself into the bloodstream. Still being so young, he has time to grow and mature at the Dutch giants and if he continues to perform for club and country, there’s no telling where he may end up but he could very well follow in the footsteps of predecessors like Thomas Vermaelen, Jan Vertonghen and Toby Alderweireld to the Premier League. Introduction: A product of the Giallorossi academy, Alessio Romagnoli has always remained a notch ahead of his age group, being fast-tracked into the Roma first-team at just 17 under the guidance of Zdenek Zeman. While finding himself on the bench (understandably), he moved out on loan to Sampdoria last season in order for first-team opportunities. It remains baffling then, why he was given up so easily by Roma. He followed the list of many other others who have been sold by Roma and then prospered elsewhere, although this may be the best (or worst) of the lot. To sell a 20-year old Italian defender, a graduate of the Roma Primavera squad, with high potential, to a league rival has a big chance of backfiring long-term, even with the short-term gains (25mil euros). All this has not had an impact on the player himself, who has established himself in the Milan side quietly and effectively, and in the process, herald the start of a new generation for Milan. Analysis: Similar in ilk to the legendary Alessandro Nesta, but more technical, Romagnoli is the archetypal modern day centre-back. Strong and quick, he suits the Italian style of play. Currently playing for a side steeped in tradition, Romagnoli has fitted in under the helm of Sinisa Mihajlovic, and this is in no small part due to the defender’s concentration and determination to make a mark on the team. He has grabbed the chance to be the face of the defense with two hands. This also leads to one of his key attributes: versatility. Being able to play at left-back as well as centre-back allows him to rack up the minutes, while allowing him to build on the technical skills. His strong left foot also helps in the balance of the team when paired up with a right-footer. Through his career so far, Romagnoli has displayed a remarkable amount of maturity and awareness, something which allows him to keep the plug on opposition attackers. His strong frame helps him to win aerial duels more often than not, while also helping him to keep and block the ball. As a result, he puts his body on the line while defending, giving his full effort to the cause, a hallmark of great defenders. When it comes to passing, he isn’t one for the fancy pass, keeping things short and effective, while resorting to clearing the ball in danger. He possesses a few weaknesses though, those which can be corrected and developed with in time. His aggressiveness, firstly, can be costly as he can give away fouls and collect bookings, something which has to be ironed out. His crossing too, is not the most important key for a centre-back but as a left-back, it is, which means this is something he will have to work on. However, it is clear of his potential, and who knows how much he will be able to achieve in his career, being already well-developed at just 20? Looking ahead: Like his compatriot Daniele Rugani, Romagnoli represents the future of the Italian national team, the bedrock of the defence. 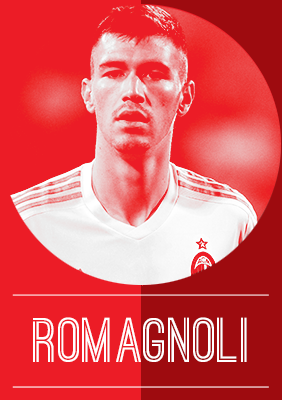 In moving to AC Milan, a side that has fallen behind considerably in previous years, Romagnoli took a risk (as did Milan) that may well pay dividends in the future. As of now, he has started all but 3 games for the Rossoneri, a significant number given his age. It is clear though, that Milan saw immense potential in this kid and have seen fit to shoulder him with the responsibility of leading the line. Given the experience and game time he is getting at the moment, he should look to continue his upward rise, which will very soon lead to a national team call-up and future success, whether at AC Milan or not, possibly emulating his idol Nesta. 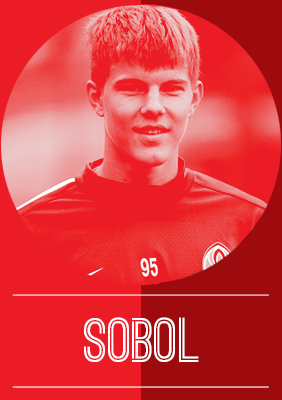 Introduction: Sobol is yet another quality defender who hails from Ukraine. Born in Vilnius and the son of a former footballer, Sobol now plays for Shakhtar Donetsk. He started with FC Metalurh Zaporizhya and graduated from their academy in 2011. After signing with Shakhtar in 2013, Sobol has been on loan several times since joining Shakhtar. He’s yet to become a regular in Shakhtar’s team with all of the experienced defenders in his way. Sobol’s most recent loan move came this season, when he was loaned to FC Metalist Kharkiv of the Ukrainian Premier League. The youngster has featured for his national team at all of the youth levels. He is highly rated enough that his chance will come sooner rather than later. Analysis: A 20 year old with very impressive height, Sobol is bigger than a typical left-back. While he’s big enough to play in the center as well, Sobol is better off at the latter. His size, strength and tackling ability are his best traits. These traits make him a great team defender and one of the better defensive young fullbacks around. Sobol is able to use his overwhelming height and strength to get opponents off the ball in his own half. While most defenders of his nature lack pace, Sobol has enough pace to ensure that he isn’t easily beaten by faster wingers and fullbacks. Sobol isn’t a left-back who will get deep into the penalty area and get goals, he often whips crosses into the box from the left side. He’s a good header of the ball in corners and set pieces. Most of Sobol’s goals come from set pieces and corners rather than shots or runs into the box. Due to his characteristics, Sobol fits in most tactical set ups and formations. He would be best used in a system that gives him freedom to attack while not making that his primary responsibility. Pairing Sobol with an attacking right-back like Dani Alves would be ideal. He can pick and choose when he decides to attack and get forward. His primary responsibility would be using his defensive skills to help out the team. The 20-year-old needs to keep growing as a player, but his all-round nature makes him one of Shakhtar’s best young talents. Looking ahead: Sobol should be looking to get into the Shakhtar first team in the near future. With Shakhtar’s great player development track record, Sobol will certainly get his chance to show what he is made of. The Ukrainian national team is very good defensively, but Sobol has played for all of the youth levels. He could earn a call up in the near future given his ability. If he gets called up sooner or later, Sobol will certainly be a key player internationally and for Shakhtar in the near future. 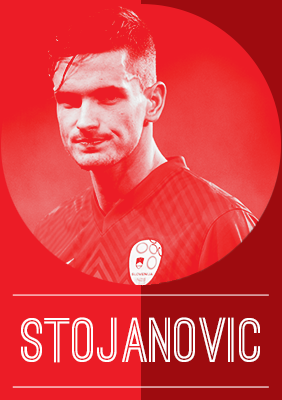 Introduction: Stojanovic is one of the most talented members of the Slovenian set up, and has been recognized as such throughout his career. His move to Maribor itself as a youth was surrounded by some controversy, with Director of Maribor, Zahovic being accused of tapping up the youngster. He even broke the record for the youngest player to appear in the Slovenian top division, debuting at just 16 years, 5 months, and 18 days old. Analysis: Stejanovic originally started out his career as a goalkeeper, and was then shifted to the position of an offensive midfielder. Eventually, though, he was shifted to the position of a right-back, as it was deemed to be his best position by his coaches. As a right-back, Stojanovic is one player who can rightly claim to have crossing down as a strength. The fact that he has 6 assists in 13 games from this position already this season, should tell you all you need to know about it. Defensively though, he’s a bit weak, and a bit too aggressive trying to win the ball. He’s a persistent fouler, and picks up a lot of cards as a result. While he won a number of titles with a dominant Maribor in the Slovenian league, he’s been tested at a higher level, and done well too. His performances in the Champions League last season, and the Europa League, have been noteworthy for the right reasons, and he’s never looked out of place. Looking ahead: Stojanovic isn’t, and will seldom be short of offers to move away from Slovenia. He’s got good talent, and a number of scouts are already looking at him carefully. He nearly made a move to Hannover last year, with just Maribor’s financial demands stopping the move. While names like Manchester United, Arsenal, and Chelsea have been thrown about, especially in the wake of his Champions League debut last season, the more likely alternative is that he will move to a Bundesliga club, with Hannover, and potentially Augsburg also looking to make a move for the young full back. Introduction: One of the latest to emerge from the German talent factory, Niklas Süle has fast emerged as someone to look out for. While a Frankfurt native, he shuffled between the local Eintracht Frankfurt and SV Darmstadt 98 in his youth before making the move to current side TSV Hoffenheim 1899 where he has made his mark. Having always been physically and technically superior to most of his age, Süle made his first-team debut at the tender age of 17, testament to his ability. An unfortunate ACL injury in the 2014-15 season ruled him out for the majority of the season, however after making a full recovery, Süle is back on the path to success. Analysis: Süle is certainly one of the few well-rounded central defenders out there at his age, which speaks a great deal about his skill. Tall and imposing at 1.94m, his physical prowess in the air allows him to be a real menace to opposition forwards. He deals with aerial duels without much fuss, allowing his fellow defenders to focus on other aspects in the game. His aerial ability also leads to the odd goal scored every now and then, a plus point for any defender. His sheer strength is a surprise for his age, as is his height, as he remains unique in this aspect among all his fellow peers and compatriots. This also allows him to put in clean, strong tackles, a facet of his game that has not gone unseen. His exceptional awareness in the tackles also leads to few fouls conceded, and when the odd foul proves costly, Süle himself owns up to his mistake and works towards correcting it, pointing to a humble and hard-working personality. It is rare for a defender to excel in interceptions and tackling, and yet there is Süle, whose reading of the game is so fine-tuned that he can make out when to attack the ball at his opposition’s feet and when to block off a dangerous pass too. As a result, it is clear that tackling and interceptions are the two key facets of his game, one that allows him to excel in a mid-level side in a quality league. Lastly, for someone of his age, Süle oozes confidence, something that a central defender needs to showcase. Even after his disastrous debut at 17 years of age, his confident yet determined and quiet personality allowed him to make massive strides on and off pitch. It is clear that Hoffenheim have a real talent on their hands, one that they will have to enjoy as long as they can. Looking ahead: Fully focused after his untimely injury, Süle is ready to put his injury troubles behind him. While he will need to take care in order to avoid a recurrence, Süle has the right ingredients in order to become a regular for a top club and his national side. While the aim will be to play for Germany, he will benefit from regular minutes for his side, and given time and patience, Süle will surely surpass many of his compatriots. A player who has ticked all the boxes so far, the current focus must be to play regularly. With that will come future success. Introduction: When you’re still at the tender age of 19 but you are hands down the most integral part of the back four for Bayer Leverkusen, there’s certainly something special about you. Standing at 6’3 (the tallest player at the club) and cutting an imposing physical presence (he weighs 216 pounds), the native of Hamburg has been one of the brightest stars in the German galaxy this season. Featuring in every single minute of Leverkusen’s campaign, both in the Bundesliga and in Champions League, the German youngster has quickly carved a reputation for himself in a country that prides itself on having talented center-backs. Analysis: Questions have surrounded Bayer all season long – one minute they’re setting the world alight (see: their 5-0 drubbing of Borussia Monchengladbach) and the next they’re stumbling. While a lack of consistency has swept through their camp, Rodger Schmidt can call on Tah as one of the few in his side that remain a constant positive force. 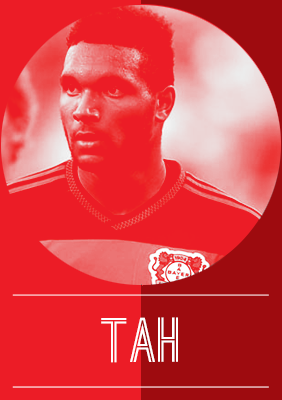 Exceptional in the air and cutting out passing lanes, Tah is rather astute at controlling his area(s) of the pitch. Perhaps even more impressive is the fact that he has seen yellow only once in 24 total appearances in all competitions. Many young center-backs are quick to dive into the challenge, but Tah is quite good at never letting a situation get to that crisis point because he’s mature enough to acknowledge that his strength oddly enough is not getting stuck in, which pays further homage to his intelligence as a footballer. When considering the numbers above, and the knowledge that he’s yet to make a defensive error this season (according to WhoScored.com), only committing 19 fouls in 22 appearances but pushing 100 in both interceptions and clearances, further evidence is provided for just how well Tah understands the tactical side of the game from a defensive standpoint in a league that features many brilliant attacking sides and players. His tactical role going forward is limited under Schmidt, and much of the possession won by him happens between the 20 and 55 yard mark – a friendly comparison to Laurent Koscielny could be levied here. It must also be noted that his touches on the ball are usually limited as well, so while he plays little to no part in the attacking build up, his ability to win possession or cut off supply lines is vital to Leverkusen’s way of life – to that end, he is arguably the most valuable piece to the puzzle, along with Lars Bender and Hakan Calhanoglu. 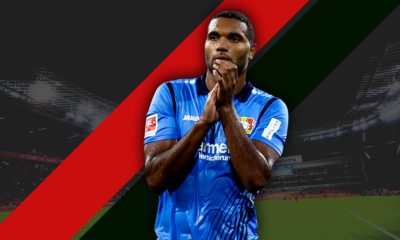 Looking ahead: The next two seasons are vital for Jonathan Tah. With it being unlikely he will be called upon for Euro 2016, he has every opportunity to win a starting place at the heart of the defense in time for the 2018 World Cup. He may not have reached the age of 20 yet, but such impressive performances, as long as they continue, should see him fight tooth and nail for a key role in the years to come for Die Mannschaft, and put further proof in the pudding that winning the Fritz Walter Medal (U-19 category, in gold) in 2015 was not a fluke. Introduction: The Crescent-Stars have found success hard to come by in recent times. The glory days of Senol Gunes’ 2002 World Cup side are long gone with a Semi-Final appearance at Euro 2008 the only achievement to show since their heroics in South Korea and Japan. However, The Crescent-Stars will head to France next summer in with an undertone of hope and confidence, something Emre Tasdemir could soon become a key part of. Analysis: MKE Ankaragücü and Bursaspor have an intriguing relationship. When the two play, the fans come together the blue and yellow of MKE and the green and white of Bursaspor merge as one. Emre Tasdemir, an MKE Ankaragücü youth player, is the most recent to become involved in this unique relationship. It was a natural step up for a player whose star was shining bright in Ankara and one that is certainly reaping rewards for The Green Crocodiles. Tasdemir certainly falls under the category of a full-back with winger’s traits: with MKE, Tasdemir scored seven goals in 29 senior appearances, albeit in a more advanced position. Tasdemir, blessed with blistering pace, rampages up and down the flank eager to put an impetus on his attacking duties– no Bursaspor defender has attempted more crosses than Tasdemir this term. The 20-year-old, however, is still stellar in his defensive tasks, quick to press his man then cut off the cross – of all Super Lig players under the age of 21 last term, only Ozan Tufan made more interceptions than Tasdemir (39). This season certainly hasn’t been plain sailing for Bursaspor as they lumber in the lower depths of the table after Senol Gunes’ departure for Besiktas in the summer; however, Emre Tasdemir is continuing to elevate his game. He has become an integral member of the Bursaspor side this term, already clocking up more minutes this season than he did in the whole of the last Super Lig campaign. Looking ahead: To have made your national team debut by 19 is a notable accomplishment in itself but this looks to just be the start for Emre Tasdemir. Dislodging Caner Erkin from the left-back spot in Faith Terim’s side next summer is a near impossible task; however, Tasdemir can provide cover and versatility where he is equally apt further up the pitch. Introduction: Struggles in Europe aside, Ajax remain top of the evolutionary ladder in the Eredivisie. Despite a stumble or two down the road this season, the Dutch giants keep plugging away on the home front, and much of their success this season must be owed to their incredibly solid (but very young) back four. We have mentioned Jairo Riedewald already, but another piece to the Frank De Boer’s defensive puzzle is fellow Dutch international Kenny Tete. Born and bred in Amsterdam and at the club since the age of ten, Tete’s contributions this term lend weight to the notion that he will not just be a flash in the pan. 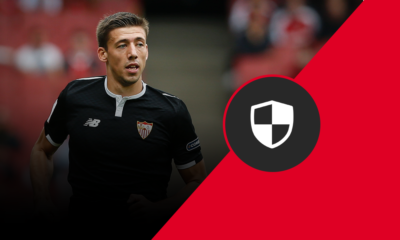 Analysis: Despite his lack of stature, and Tete’s ability to slot into the center of defense, his importance on the right side of Ajax’s back four cannot be understated. Just like Riedewald, Tete is very good with the ball at his feet, strong in possession and picking out the right pass. He however excels even further in the way he reads the play in the defensive third and he’s strong in the tackle – something that many Dutch defenders often times lack in abundance on the whole. As a right-back, Tete also is expected to have influence going forward and though he may not be a creative force in the sense of assist totals (he only has one in the Eredivisie this season), he does however have a role to play. With his ability to win back possession or cut out passing lanes, Tete will give possession over to Anwar El Ghazi or any of the midfield three, but his role in the move continues as he pops up all over the right hand side of the pitch all the way into the final third, providing an outlet to be used before Tete delivers the return pass or picks out the ideal candidate to complete the passing move before a chance is created. Much like Hector Bellerin at Arsenal (who no doubt most of you have seen by now), the assist totals are low but the importance in the attacking build up is substantial. Looking ahead: Impressive performances this term saw the young Dutchman given a shot for the national team. Much like Riedewald, Tete featured at the tail end of the Euro qualifying campaign, completing ninety minutes against both Kazakhstan and the Czech Republic. His importance to Ajax is all but assured and as long as he continues to perform for de Godenzonen, Tete should continue to get a look in the full national set up and by 2018 could very well be given full trust on the right side of the defense. Introduction: It didn’t take long for AS Monaco to go from Ligue 1’s rich boys spending in the transfer market to a talent pool of the young and upcoming. Right-back Almamy Toure is one of many bright starlets present in the principality, and arguably THE stand-out among the bunch. The Ivorian is the only player from Monaco in this feature, being picked from a short-list of players that included six others from the club. But having really burst onto the scene only in 2015, Toure has equally surprised and impressed many with his rise to fame in French football. Analysis: There are players who play with a level of passion and confidence that stands out on the pitch, well above pure skill. This couldn’t be more truer than for a player like Toure. At just 19, the full-back has an impressive mentality in his game, that often lacks in players. Toure has the willingness to go the extra mile, a key attribute that has helped a side that is lingering between title challengers and above average hopefuls. His game is helped by his unearthing strength, compiled with his impressive pace that make him a valuable asset to the side. The Ivorian is able to contribute defensively when the side hold on a strong line at the back, but has equally been crucial on the other end of the field. While positioning is vital for any full-back, Toure has a ‘centre-back-style’ to his game on the flanks as he sticks close to opponents in attempts to win back possession. That impressive strength further helps his case as many an opponent have fallen prey to his hard-work. But as any modern-day full-back is required to do, Toure gets forward in advance as often as possible. Seen constantly stepping up to intercept possession before starting the attacking transition himself. This trait (in fact a summary of his key traits) could be seen in his goal against Marseille, stepping up the pitch to regain possession, driving forward while taking on an opponent or two before slotting past the keeper with immense composure. 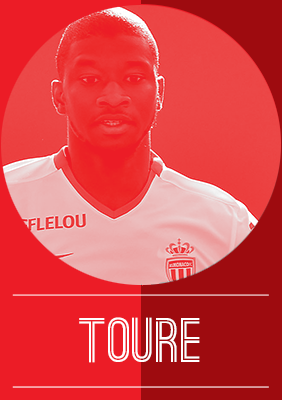 Looking forward: Toure has carved out an important role this campaign at Monaco; and while the early signs are of a well-polished player with a bright future, his current manager Leonardo Jardim has a key role to play in his development. Too often young full-backs are ‘modernised’ with their ventures forward but Toure is one who has a solid pedigree at the back. Utilisng that the right way in the side’s tactical application will have a telling effect on how the player develops.